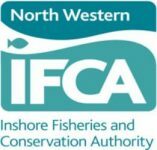 Each year the Shark Trust work with the UK Department for Environment, Food & Rural Affairs department (Defra) to produce and distribute Commercial Fisheries Advisories. These are designed to assist the commercial fishing industry and fisheries management and enforcement agencies. They provide rapid access to the current legislative status of sharks, skates and rays in UK, EU and international waters. The shark, skate and ray ID Guides may also be useful.